Serenity Cottages was reviewed by Kristin Bourne. 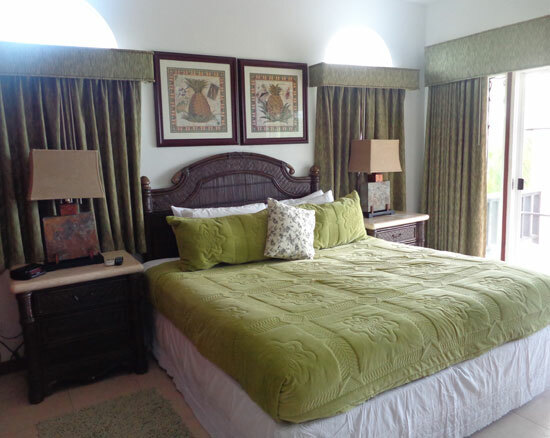 Big, luxurious rooms, with every amenity you may need, Serenity Cottages offers tremendous value. With its stellar location tucked away on Shoal Bay East, one of the island's best beaches, it is a hidden gem of a hotel. 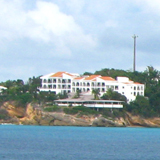 Anguilla's beach that is the most well-known worldwide, Shoal Bay, is also the beach with the most Anguilla hotels. 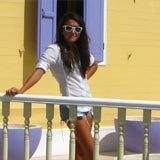 There are some wonderful Anguilla villas that line Shoal Bay, our friend, Jackie Pascher at Island Dream Properties, manages some of the best. They range in price as do the hotels. 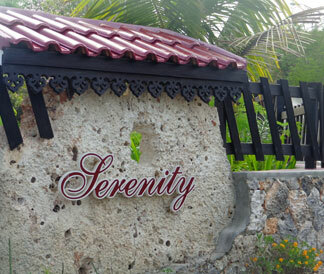 Having visited Shoal Bay Villas, Ku (which is now called Manoah), and Allamanda Beach Club (home of one of my favorite restaurants - Zara's), the next hotel that I hadn't visited yet was Serenity Cottages. I spent one morning visiting Serenity, thanks to the hospitality of owner, Kenneth, and manager, Patra, who showed me around. When I arrived, Patra and I noted the weather as unusual for Anguilla. It was breezy, overcast and grey with some passing light showers. It was also cooler than usual for mid-April. It was a local's dream weather day. Keep this atypical weather in mind as you view the pictures on this page as they don't do justice to Anguilla's typical blue skies! As I drove on to the grounds of Serenity, I was surprised. Only having seen Serenity from Upper Shoal Bay East (from nearby Gwen's Reggae Grill), I had not assumed such beautiful grounds which covered more acreage than expected. Mind you, Serenity can't be called expansive, as the larger Anguilla hotels of Cap Juluca, Viceroy, CuisinArt Golf Resort & Spa can. Serenity is just right and impressive for what it is. I found it to be unique, pretty and it brought forth a feeling of comfort. Serenity is easily accessible by car. It's found easily by following signs from the main road to Shoal Bay East. Parking is convenient to both the rooms and the restaurant. I had met Patra at the restaurant, then we walked to the building closest to the sea in order to view a one-bedroom as well as a studio. As we walked over, I noticed how fresh the building appeared. 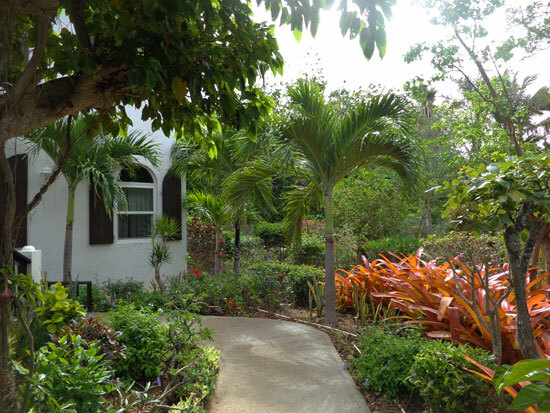 As you walk the sidewalks to the rooms, you are provided with lush eye candy as the property is well taken care of. Patra led me in to a second level room, a one bedroom (which includes a fully-equipped kitchen), in the building that was closest to the beach. However amazing the view of the sea is from Serenity, it's not what I noticed first in this case… I noticed the decor and furniture. This furniture came across as confident and bold in light of so many hotels with the modern, minimalist and neutral palate, like Viceroy. It felt luxurious and looked comfortable. 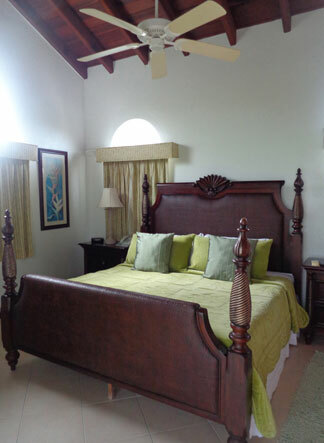 The spacious room held large, dark wood, rattan, and tropical-fabric pieces of furniture. It exuded more "Tommy Bahama" than "pink flamingoes and flip-flops". 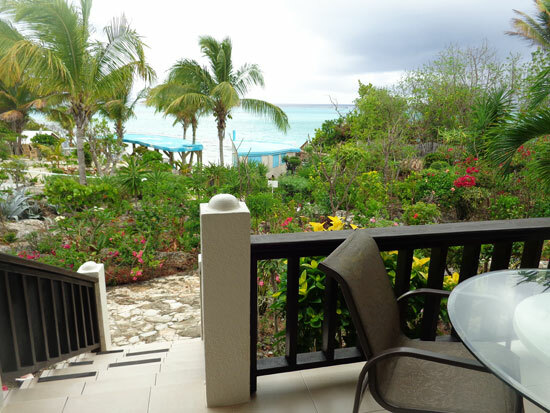 I took a quick peek on the balcony at the gorgeous sea and grounds view and then made my way to the bedroom. I had been curious to look at the bedroom since walking past it on my way in. Why? Serenity had a bed that called my name. Not only was the bed a king size, the room easily hosted it. The linens were some of the more luxurious-looking I've seen on an Anguilla hotel bed. The bathroom was clean and spacious. Next up was a studio. Would it be as impressive? In fact, it was very similar - in look - to the one bedroom. The studio has very similar amenities but lacks a kitchen, although it does have a mini refrigerator. The room is open as a studio is. The bathroom of course, is separate. Once more I was lured by the feeling the room evoked. While it was a combination of things creating the reaction, I think the abundant curtains keenly assisted. This room felt regal. The balcony of the studio I viewed was on the side of the building yet still offered a sea view. That particular balcony was very private too. After the room visits, we walked back to the restaurant and down the stairs from there in order to explore the beach. The Serenity grounds are lush! It was early morning so the beach bar didn't have any patrons yet and the weather was that unusual gloom, but the beach still looked great. That end of Shoal Bay, the end of Upper Shoal Bay, has a smooth area, which allows you to easily enter the sea and provides a fair amount of glorious white sand to sink your toes in. 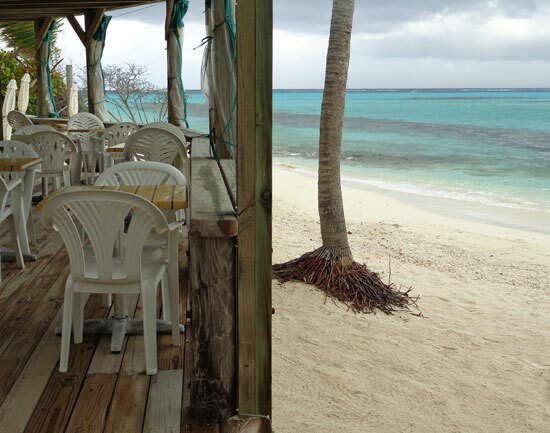 If you were to investigate online, you'll read about Upper Shoal Bay's erosion, especially by Gwen's Reggae Grill. The shape of the beach continues to change, as most do. Upper Shoal Bay is a shorter beach than Lower Shoal Bay and it is more narrow, so the erosion is more apparent. As the seasons and years have come and gone, at some points you can walk from Serenity down Upper Shoal Bay toward Lower Shoal Bay without getting in the sea and other times, you can't. Nonetheless, the beach in front of Serenity is plenty for those wanting their accommodation on a beach. 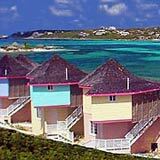 It works out to feel like your own little private nook of a world-renowned Caribbean beach! While I haven't had the opportunity to eat at Serenity Restaurant, I noted that they are open for breakfast, lunch, and dinner. The surroundings at the restaurant are pretty and I was surprised at how large the restaurant area is. I thought it would be a great venue for a Anguilla wedding reception, but we'll leave those ideas up to the Destination Management experts at Blue Sea Anguilla. At a quick glance, it's mostly in-line with the average Anguilla restaurant. The restaurant is scenic, especially during daylight. It seems like it would be a very nice spot to have your lunch... or even indulge while down at the beach at the Beach Bar. Breakfast items range from $3.50 US on the a la carte menu and up to $17.95 US for the largest entree. The lunch menu is vast! It consists of appetizers, salads, entrees, sandwiches, platters including beef and poultry. Some examples are fresh pan-seared snapper, shrimp scampi, the Upper Bay burger, grilled ham & cheese sandwich, conch fritters, and even a fruit platter. The lobster salad stuffed avocado sounds like a winner to me. Lunch menu items start at $9.95 US and go up to about $31.95 US. Dinner offers soups, salads and pastas. Main courses include beef, pork tenderloin, and grilled lobster or crayfish with either a Grand Marnier Dressing or Lemon Garic Butter sauce. Sounds divine! They come with sides like baked pumpkin, grilled eggplant or the vegetables or potatoes of the day. Dinner prices start at $11.95 US and go to $34.95 US. The bar serves up a variety frozen drinks, wine, cocktails and beers as well. Serenity's amenities are typical and up to date. They offer wi-fi on property, air-conditioned bedrooms, a telephone, beach chairs and umbrellas, daily maid service, a library, and of course, a 3 meal per day restaurant. 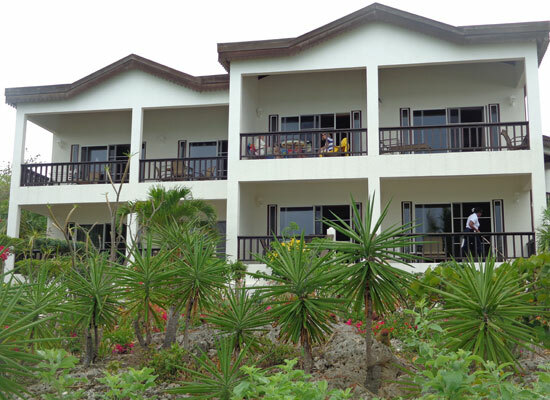 The rates at Serenity are as low as $225 US/night for a Studio in low-season. 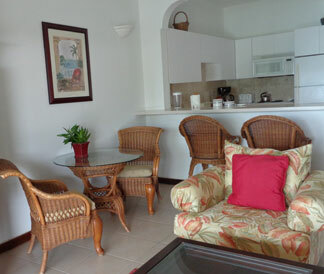 A one bedroom suite with great views in high-season runs $550 US/night. 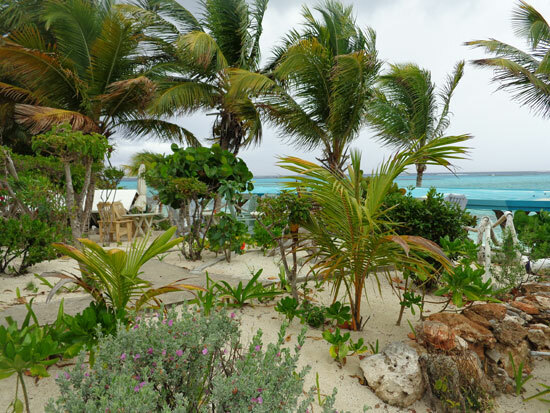 Serenity's low-season rates are offered for longer than most other Anguilla hotels. Serenity's rates are lowest from mid April until mid-December, whereas most Anguilla hotels raise their rates in early November.